When should you hire a wedding planner? 30 Apr When should you hire a wedding planner? 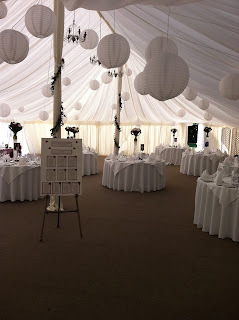 A very good question, at what point should you hire a wedding planner in Hertfordshire? it really depends on how much help you might need with your planning. For instance some brides know that they just don’t have the time, due to work or family commitments, or they have no inclination to plan their own wedding. These brides tend to decide very early on after they have set the date that they want some help. There are some brides that get so far with the planning, the venue is booked, the photographer, the florist and the dress is bought but they hit a wall and decide at that point to ask for some professional help planning their Essex wedding. You might find as you go through the planning process that you can manage to do it all yourself with the help of family and friends then as the wedding day draws near just want to have someone there on the day so that you can relax and enjoy. The amount of brides I have seen at weddings literally running around like headless chickens making sure everything is being done as they have planned is riduclous. This is your big day and its time for you to relax, enjoy and spend some quality time with friends and family, not chase relatives to get in the right photographs! You can approach Louise Perry Weddings at any point during the planning process. We offer a no obligation FREE consultation to chat about your weddding in London and then we can see exactly what still needs to be done and what your concerns and worries are. Then we will draw up a proposal and quote for the work involved for you to then decide if you want to hire us to help you. By working this way a wedding planner can be surprisingly affordable, we are definately not just for the rich and famous. Every bride deserves some help and support from a professional source and that’s exactly what I like to think we are. Do get in touch for a chat about your wedding day.